System Requirements - Sunburst Software Solutions, Inc.
QuickBooks® Pro or Premier 2012 and Enterprise 12.0 compatibility since 9/27/2011. Order QuickBooks Pro, Premier for the desktop or NEW Basic or Enhanced Desktop Payroll subscriptions at a 10-20% discount through our Discounts on QuickBooks page. As an Intuit Premier Reseller, we can provide you with discounts on QuickBooks Enterprise Solutions - as well as QuickBooks Pro and Premier. Request a price quote for QuickBooks Enterprise and/or a price quote for QuickBooks Assisted Payroll - complete our document Quote Request form (111 KB) as there are monthly specials. If you can run a currently supported Windows® desktop version of QuickBooks (currently Pro or Premier 2012-2015 and/or Enterprise 12.0-15.0) then you can run our software, it's as simple as that! While our sofware still runs on Windows® XP Professional, Windows® XP Home, and Windows® 2000 with the latest Critical Updates and/or Service Packs applied as well as supports Microsort Office 97, 2000, XP, and 2003 - Microsoft and Intuit no longer support these products. Therefore, we can no longer, in good conscience say that we support them. While our software may work today, with these versions, tomorrow it may not - and there will be nothing that we can do about it. 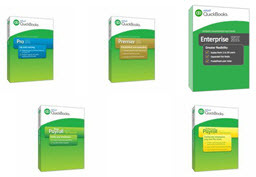 Our software still works with QuickBooks Pro 2007 through 2011, QuickBooks Premier 2007 through 2011, and Enterprise 7.0 through 11.0; however, Intuit no longer provides support for these versions.